A spate of shootings outside high school football games in three states on Friday night left two dead and at least three injured. The football season is just getting underway, but this is already the second weekend in which shootings have taken place near local football games. 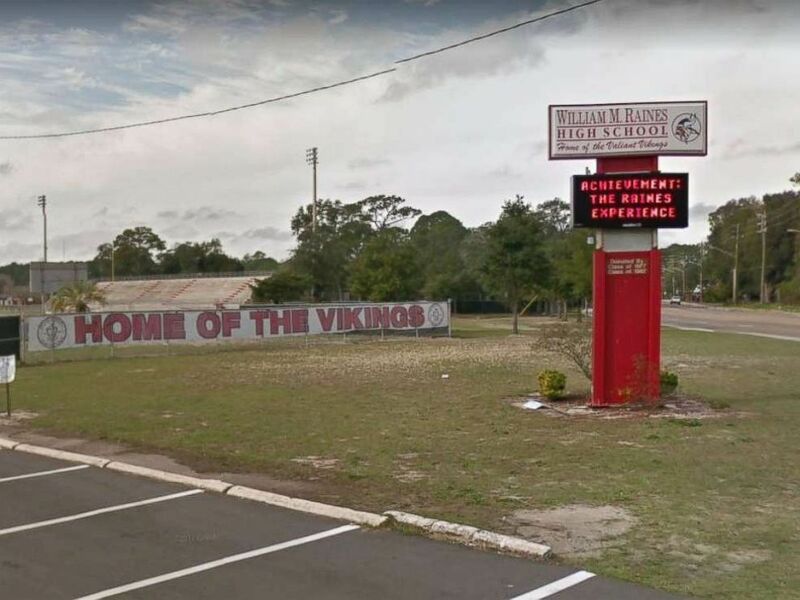 The most violent of the incidents came in Jacksonville, Florida, where one person was killed and two others were injured outside Raines High School, the Jacksonville Sheriff's Office said. The shooting occurred near the main gate to the stadium as attendees were leaving the game, according to Jacksonnville ABC affiliate WJXX. Duval County Public Schools Superintendent Diana Greene was at the game and spoke to reporters after the game. Raines High School and Lee High School, who played Friday night, are both part of Duval County Public Schools. One person was killed and two injured in a shooting outside the main gate of Earl S. Kitchings Stadium at Raines High School in Jacksonville, Fla., on Friday, Aug. 24, 2018. "For it to end in violence like this is unfortunate, and quite frankly, we should all be saying 'unacceptable,'" Greene said. "Our security procedures for football games were in place, the incident, unfortunately, happened after the game was over." Michael Edwards, director of the Duval County School Police Department, said there were 50 officers at the game. In Fairfield, California, just northeast of San Francisco, a shooting killed one teenager and critically injured another just after 5 p.m., according to police. The shooting took place just outside Armijo High School, where a junior varsity football game was being held. The school was placed on lockdown as police searched for two shooters, according to the Fairfield Police Department. About 500 students and parents were moved to the gymnasium from the football field, but one of the suspects followed the people inside. The suspect was taken into custody in the gym without incident, police said. A second suspect was arrested a couple blocks from the shooting. According to police, a 16-year-old was killed in the double shooting and an 18-year-old is in critical condition. It's unclear if either was a student at the school. In a third shooting Friday, a football game between Freeport High School and Auburn High School in Rockford, Illinois, was called off at about 9:45 p.m. after shots were fired near Auburn's Wyeth Stadium, according to Rockford ABC affiliate WTVO. Police said the shooting happened between two vehicles outside the stadium and had no connection to the game. No one was injured. Two people were injured, one critically, in a shooting outside Palm Beach Central High School in Wellington, Florida, on Aug. 17. Students and parents scattered when the gunfire occurred in the fourth quarter, but no one in the stadium was injured.